Peas and Pecorino from "On Vegetables"
The final nominations for this year’s James Beard Foundation Awards are out, and local chef Jeremy Fox makes out pretty well. 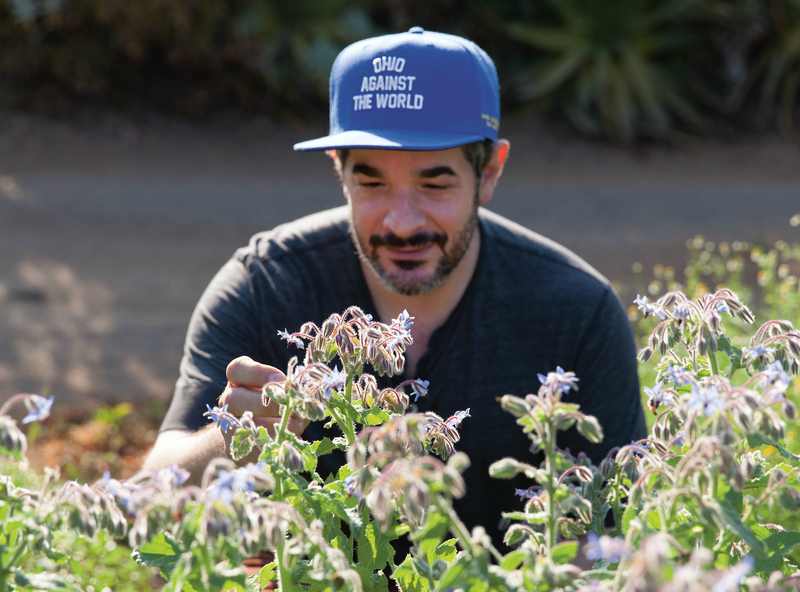 His cooking at Rustic Canyon earned him a spot as finalist for Best Chef for the Western region of the U.S. and his cookbook, On Vegetables: Modern Recipes for the Home Kitchen, is nominated in the category of Best Cookbook: Restaurant and Professional. Cleveland-born Fox came to Santa Monica after stints at Northern California restaurants Manresa and Ubuntu, the latter of which was an all-vegetarian menu, even though Fox himself loved to cook meat. Before he started cooking meatless, “The last meal I cooked at Manresa was a 14-course pig dinner,” Fox told Los Angeles last year. As it turned out, applying the very techniques he had perfected on animal protein to vegetables instead gave his food a distinctive style that earned serious accolades. And back then, in 2010, publishers started talking to him about doing a book. But, along with the acclaim he was finding at Ubuntu came a period of crippling anxiety. He decided to leave Ubuntu, move south, and take over the more low-profile Rustic Canyon while focusing on his mental health, a struggle he writes openly about in the book. Coming out the other side, he is the chef and a partner in Rustic Canyon and Tallula’s, and is the executive chef of Ester’s Wine Shop & Bar, which owns small empire of properties. 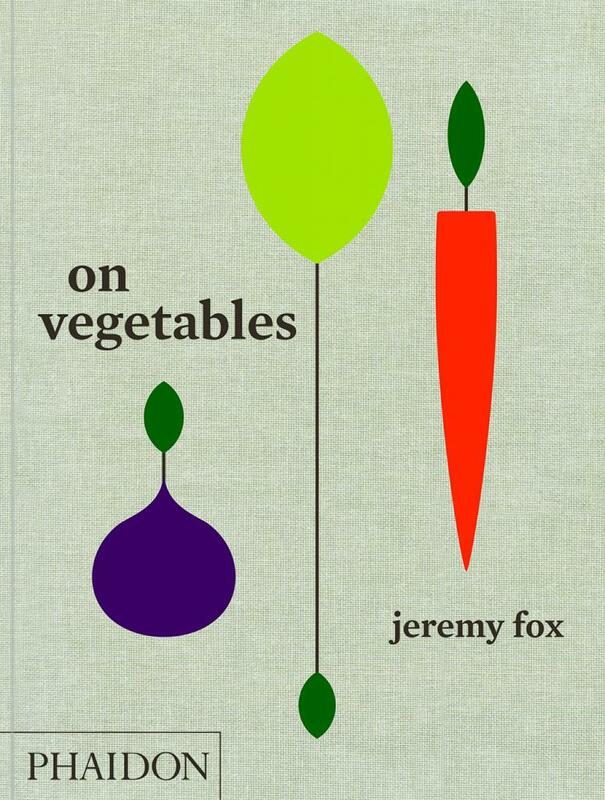 And while he’s back to omnivorous fare in his restaurants, On Vegetables is all about crafting dishes that showcase produce. In celebration of the book’s nomination, here is one of Fox’s lovely dishes from the book, which is perfect for spring and super easy to whip up at home. Bring a pot of water to a boil over medium heat. Season it with enough salt that it tastes like the sea. Prepare an ice bath in a large bowl. Add the peas to the boiling water and cook, at a simmer, until they are tender but not mushy (this can vary based on the size of the peas), two to four minutes. Drain the peas and immediately transfer to the ice bath until completely cool. Drain and spread the peas on paper towels and allow to dry completely. 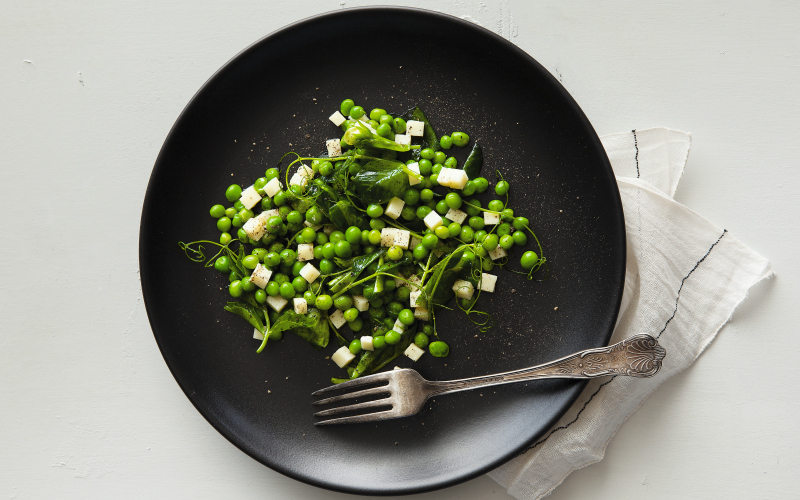 In a bowl, combine the peas with the pea tendrils, olive oil, vinegar, shallot, and mint. Season to taste with salt and pepper. To serve, divide the dressed peas across plates. Shave pecorino on top and finish with more pepper.